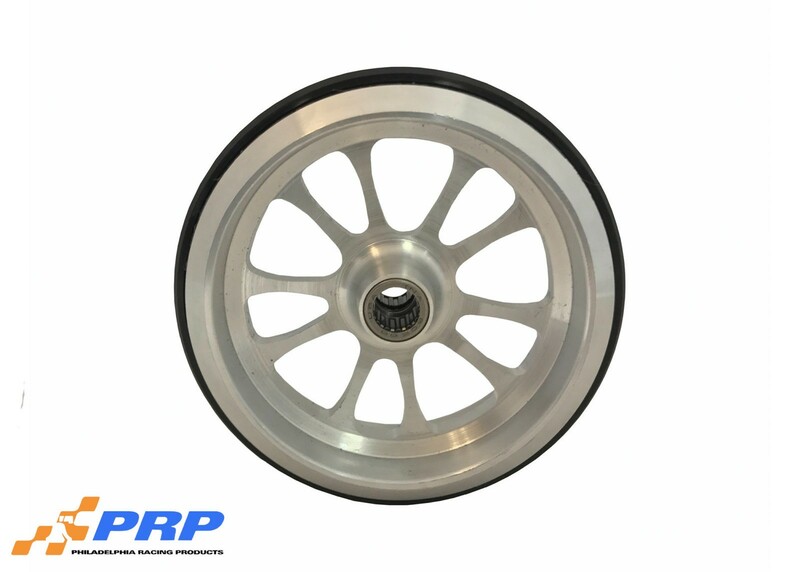 Each Billet Wheelie Bar Wheel is made from solid billet 6061-T6 aircraft grade material, and designed to replicate the front wheels of any race car. 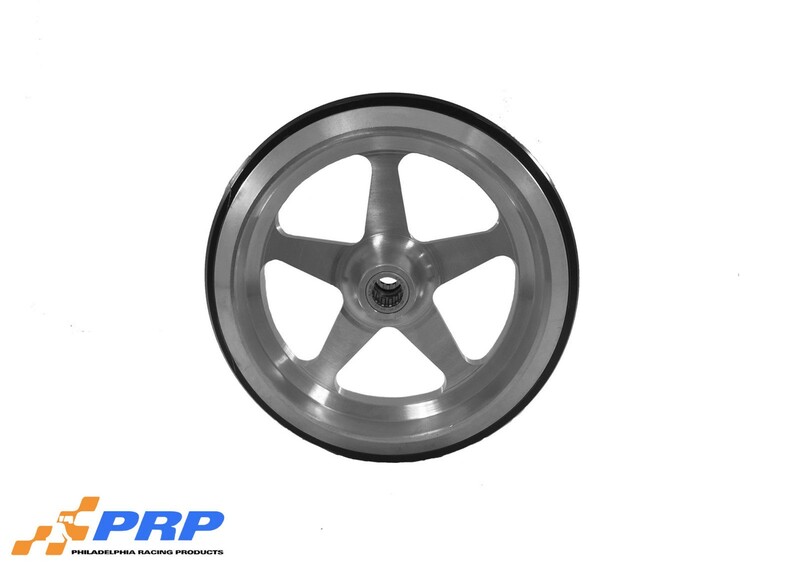 Each wheel is molded with a polyurethane material that won’t dent or give like a rubber wheel can. These wheels have over a 10,000 lbs/ft. 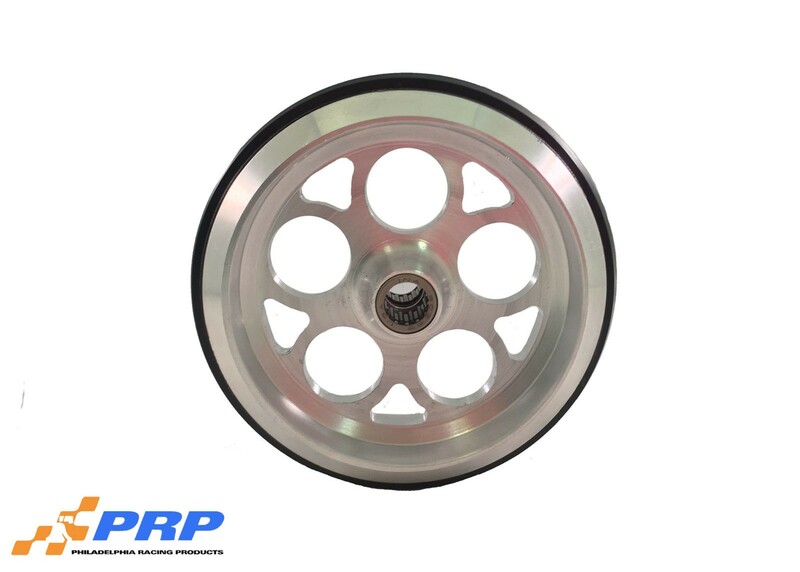 load capacity when your typical pro stock car will produce a load rating of 600-800 lbs/ft. These wheels are 4” in O.D. and have a 3/8” through hole for mounting. All designs have been track tested, and run on vehicles that make over 1500HP. Qty is per wheel. Not sold as a pair. Solid Individual, not in a pair.